Amidst all the flurry of our daily lives. Amidst all the routines we have to follow. Amidst the busy & worked out schedules we pass through, one thing that remains constant is our urge to SHOP. Be it man or woman, be it children or elderly, be it a teenager or a senior citizen, be it day or night, be it hot or cold, be it summer or winter, be it January or May, be it India or overseas, be it rich or poor, WE SHOP. Daily needs, luxuries, groceries, toiletries, foods, drinks, tissue paper, toilet paper, soap, shampoo, conditioner, tooth paste, dental floss, t-shirt, jeans, chinos, suede, movies, music, posters, mobiles, tablets, DSLR, books, magazines.......The list goes on. So in a nutshell, our lives are stuck and wouldn't move forward a day if we don't shop. We shop because it is necessary, we shop because we like it, we shop to keep the economy running, we shop to distinguish ourselves, WE SHOP TO SHOP. Firstly let me discuss what today's shopping scenario is all about, and then comes my dream. Shopping in our times is a 5 step process. 1. We determine what we NEED. 3. We check the PRICES, compare it. To summarize we do all the work and we get things done. Just like our ancestors said - You reap what you sow, similarly you get what you shop. We define our needs. We search for places to buy stuff. We spend our hard earned money. We pay for what we shop. And lastly we carry what we've shopped. We shop at Malls. We shop in our localities. We shop in different cities. We shop online. We shop with cash. We shop with credit cards. We shop with coupons. The online shopping is a boom in present times. Things are changing at a pretty rapid velocity. eBay being the leader of all online markets is doing what it can, others are following. But the question we have to ask ourselves is - Is this it ?? It is the maximum that shopping can diverse to ?? It there no more scope for improvement ?? Let me give you a peek to what 2030 holds. Put on your seatbelts and let me take you on a journey to year 2030. Hopefully we all are alive by then and the Earth doesn't end that soon. WARNING - NOTHING MENTIONED BELOW IS FICTITIOUS. I DREAMT ABOUT IT THE OTHER NIGHT AND MY DREAMS DO COME TRUE. SERIOUSLY !! So let me tell you what basically my dream was about. Me being a big movie buff, have been inspired by a lot of movies, Star Wars, Star Trek, Willy Wonka, Inception, Indiana Jones to name a few. So all my thoughts messed up my dream and since shopping and movies are two of the things I like most, they got mixed up. And just like powerpuff girls the chemical X in my dreams did a world of good to me. You wouldn't believe how cool the result was. worry about ordering few days before the stock gets over. The software takes care of all that for you. Want more ?? You see a holographic 3D image of the product you need to buy. You can check out the product as if it were real without even getting up from your bed. Just a flick here just a flick there and voila, you have the product at your fingertips. The software also calculates the utility of the product. It tells you how much you would benefit from it in daily use. So now you don't have to run to the market to get every small item. Just check it out on the software and order. Remember holographic conversations in Star Wars. Just imagine this with products. Checking out your favorite car would not require you to take it for a test drive. 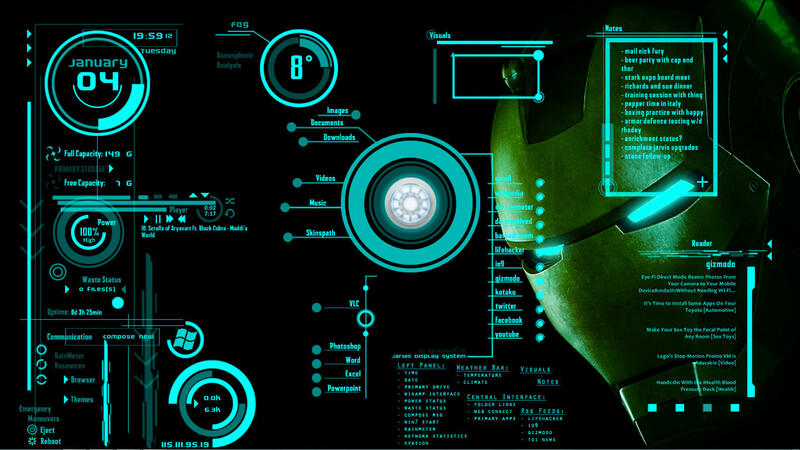 An interface like this is what I saw just without the Iron Man mask. This is just the start. You wouldn't believe what is further to come. So keeping a track of our requirements and needs is taken care by the software. Now comes the important parts. How do you select a product you want to buy and how does the delivery takes place ? Lets now move to delivery. This is the coolest part. The whole world is connected by these thin magnetic wires, which are even above the height of atmosphere just so that they do not interrupt the traffic. Every city has a main warehouse which is as big as you can imagine and all the magnetic lines are connected with each other and their respective warehouses. Here is the image of world delivery lines connected to each other. So what basically happens is, Suppose a guy from India buys a product from a eBay seller in US. He calls for a eBaycopter (Check below for more details) which picks up the product from his house and delivers to the warehouse in the city. From warehouse a container load of goods are dispatched to different countries at warp speed through the magnetic lines. Guess how much time it takes to deliver a container load of goods from US to India. 7.8 seconds. YES BLOODY 7.8 seconds and your goods are delivered to your city. Now comes the eBaycopter in picture. It is a R2D2 kind of robot but also it can fly (way cooler) ;) , GPS enabled, which then takes the parcel and delivers it right to your doorsteps. eBaycopter is just like this domicopter but way cooler and smarter. Another technology that is still under making in year 2030 is delivery through teleportation. Remember how Willy Wonka had planned to deliver the chocolates through every ones TV sets. eBay in 2030 are on the verge of discovering the technology and therefore solving each and every problem that had existed in the history of delivery of goods. Check out this video to see what eBay is upto. Now comes the payment part. It is very easy since all you have got to do is swipe your card or imprint your thumb on the eBaycopter (Imprinting thumb directly connects you to your bank account and you can pay directly from there, which is also another development of future). And you own the product now. So now to conclude what shopping is in 2030, it can be said that it would make you a lazy lad but it sure has its advantages. Starting from understanding your need to delivery and payment of product, new & never been used technologies are used. Nothing is manual and everything is done through machines and softwares which in turn achieves a six sigma rating with 0.00000001 deficiency. Just like Isla Fischer said in "Confessions of a Shopaholic" - When I shop, the world gets better, and the world is better, but then it's not, and I need to do it again. We all will always be the same and shopping will always be a great way to recreate our little souls.